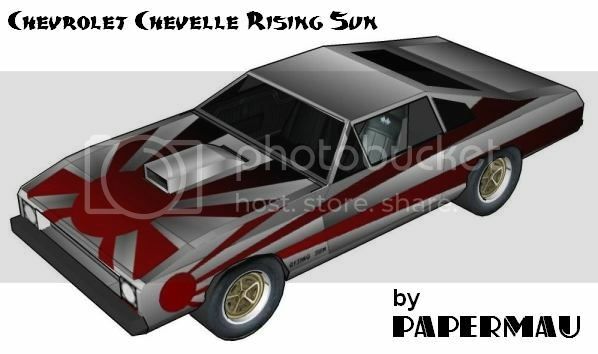 Here is the body of 1970`s Chevelle Rising Sun, to use with the parts of Chevrolet Chevelle Dark Version. 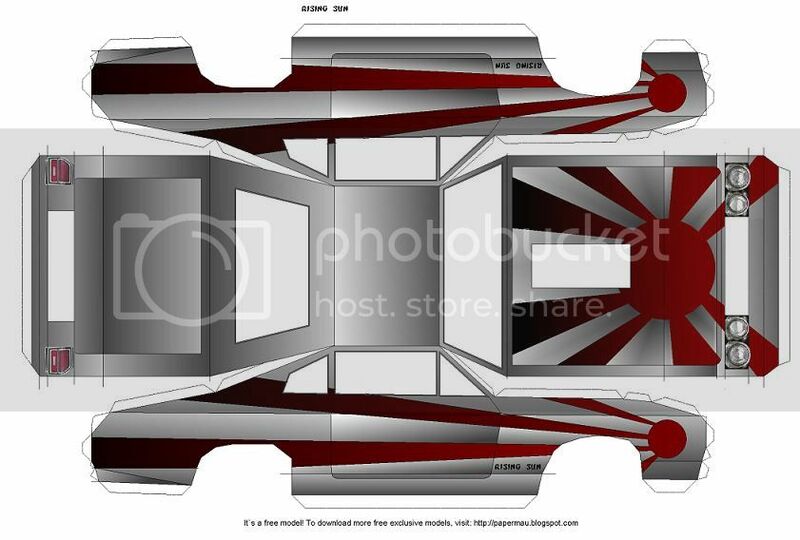 The rear lights that are missing in the other versions are fixed here. New front lights too. Have fun! Papermau - Free original And Exclusive Paper Models And The Best, Rare And Unusual FRee Paper Models Of All The Net!